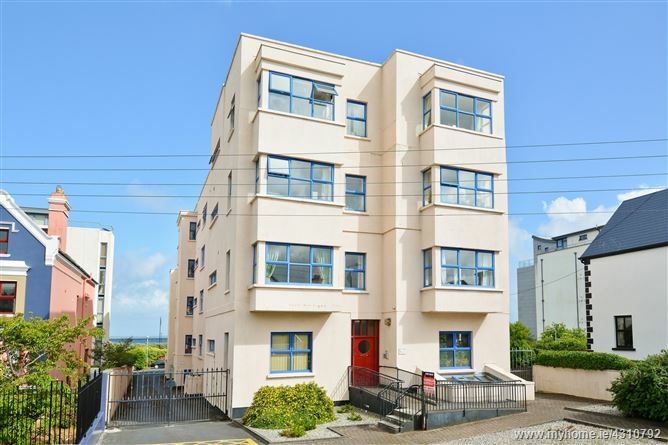 O Donnellan & Joyce are delighted to offer for sale a wonderful 2 bedroom second floor apartment located at No 16 Galway Bay Apartments in the heart of Salthill village, Galway. Ideally located within moments of The Salthill promenade, Galway City and a just a leisurely stroll to NUIG and UCHG, this spacious apartment offers all that one would require for modern day living. No 16 is presented and maintained in excellent condition throughout. The property contains a spacious interior throughout and offers all the convenience of modern day living that one could possibly require. The accommodation is comprised of a large welcoming hallway leading to an open plan dining, living room and kitchen. Boasting superb views over Galway Bay, the bright and airy lounge area offers space and style in abundance. A large family bathroom with feature tiling and large windows service the two bedrooms which offer fitted wardrobes and dresser units. This property would ideally suit an investor or first time buyer looking for a walk in property in an excellent location. It would make the ideal owner occupier residence, holiday home or investment property due to the fact that it is situated in one of the most famous seaside villages in the West of Ireland. Viewing is highly recommended and guarantees not to disappoint.